Scanpoint, a subsidiary of Austrian Post, is Austria’s largest service provider for document digitization and data extraction from physical and electronic documents. They have offices in Austria and Slovakia and employ over 250 people in different locations. Their offices are access controlled in compliance with data protection laws. 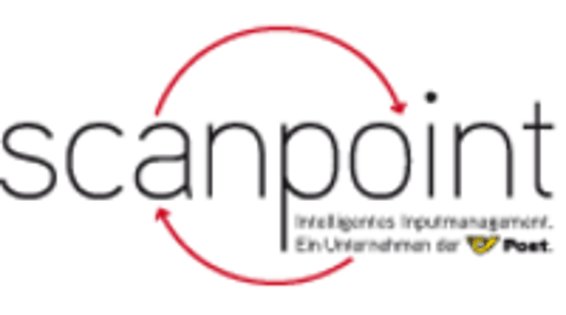 Besides digitizing postal mail and archive documents, Scanpoint has a clear-called focus on incoming invoice digitization. They are processing a daily volume of about 10.000 invoices. Some of their customers only need the header and footer data read from the various invoices, while others require position data as well. There are also differences regarding languages. Some customers receive mainly German-language invoices, while others are operating internationally and receive invoices from suppliers worldwide. Scanpoint has SLAs with their customers that need fulfilling on a daily basis. So they need a system that they can rely on 365 days a year, and that’s what IRISXtract™ provides. At Scanpoint, they receive documents in physical form from their parent company, Austrian Post. These are diverted via a business center address and forwarded to Scanpoint by post. Once there, the documents are opened, removed from their envelopes, separated using bar codes or separation sheets and then passed on for scanning. In the next stage, the data is forwarded to the SPE, the Scanpoint Process Engine. This superstructure takes the data from the database and forwards it to IRISXtract™, which then performs data extraction and classification on the basis of program properties. In a following stage, other index parameters are extracted and quality assurance is conducted by the Scanpoint staff. After the data has been captured, the image data and the meta data are bundled and forwarded to the customer. Our experience with IRIS in the setup phase were very satisfactory. Efficient, on time, and at the anticipated cost. A major advantage of IRISXtract™ is its scalability. Even a large-volume project can be very quickly accommodated. And yet it needs very little manpower to keep the system running, to patch and update it. In other words, it works without software problems! The recognition rate is very high, 99% and higher. Furthermore, the statistical database provided by IRIS gives essential figures. E.g. how high the field detection rate is, where we need more training or where there are potentials for optimization. IRIS gives continuous traceability in terms of what has been done with the data by any person or by any sub-process in the system. So for audits the customer can always trace what happened with the data at Scanpoint, from input right through to output. Working with IRISXtract™ gives advantages in platform stability, in the throughput rates achieved per invoice or per employee hour, in the degree of data readability, and also in terms of accuracy and intuitive post-processing. This video is also available in German. The IRIS brand stands for three essential values: The first is innovation, solution-focus and customer focus; the second is technical stability, fully worked-out systems, and the third is trust in the partnership, joint cooperation and joint success. consectetur risus luctus elit. massa mattis consequat. efficitur. at ut risus.